I’m sure that whoever invented today’s keyboard layout was a pretty smart guy. It seems to be in random order, but there must be some kind of logic behind it, right? And it must be something very complex. Actually, I’m also sure that this person was on crack when he invented it. Just take a look at your keyboard right now. What is this nonsense? Can you get any more random? What possible reason could there be for a sane person to jumble up a perfectly fine alphabet into a string of letters that is in no comprehensible order and even fails to at least spell an entertaining word while it’s at it? I was going to write a full post on this disgrace, then I realized I should probably look things up before I rant on them. So I did some quick research, and found out that… Wikipedia had a nice picture of a keyboard that I could use on this post. I also found out that there was, in fact, a fairly understandable reason for the inventor of QWERTY to lay out his keys in this way, which totally makes the original point of this post moot and forces me to change the topic temporarily, but this is not as relevant. So. Uhm. I guess QWERTY is okay. It does have its uses, such as replacing T9 as my preferred method of texting. Me and T9… we never really got along that well. I didn’t have an unlimited text plan for two years after getting my first phone, so I never really needed to get acquainted with it. I wanted it to make it work out between us–I really did. Whenever I needed to put something on the calendar, or make a memo, or send the rare (and expensive) text, I’d be like “Hey T9, long time no see. Can you type up this really simple line of text for me real quick?” and then T9 would be all “F*%& YOU! Imma misspell EVERY SINGLE WORD!” and it would go ahead and misspell every single word I tried to type. If it was possible to develop intense loathing towards a method of text input, it might have happened to me. Since then, I’ve been using a QWERTY touchpad phone, and the fickleness of T9 is just a distant memory. The problem is that I have a similar relationship with touchscreen, but that’s a story for another time. And I admit that it’s not all that complex or random compared to some other schemes. For example, the method of Korean typing that is used the most widely is called the 2-set method, and while it’s a little hard to learn, once you’re proficient it’s no big deal. But an alternate scheme called the 3-set method exists, and as far as I can tell, this method is more complex than college astrophysics. Imagine that you took the jumbled order of QWERTY and mixed it up a couple more times just for the heck of it, then started combining a few letters into one key, shuffled it a few more times, then combined punctuation marks and special characters with the now-doubled-up letters, made it so that you almost always have to type from the right side to the left just to complete one character (using the shift key the whole time), and then colored it all bright and pretty to try and feel a little bit better about the fact that you just murdered an entire language’s alphabet using only a keyboard. That’s what the 3-set keyboard is like. But that still doesn’t excuse QWERTY from its many quirks and downsides. For one, you can’t tell me that I’m the only one that feels a little sillier every time I try to type the word and don’t realize until a few seconds later that it is, by definition, simply the first six letters of the keyboard. If I really am the only one, well, I take pride in representing the opinion of a minority. Of one. 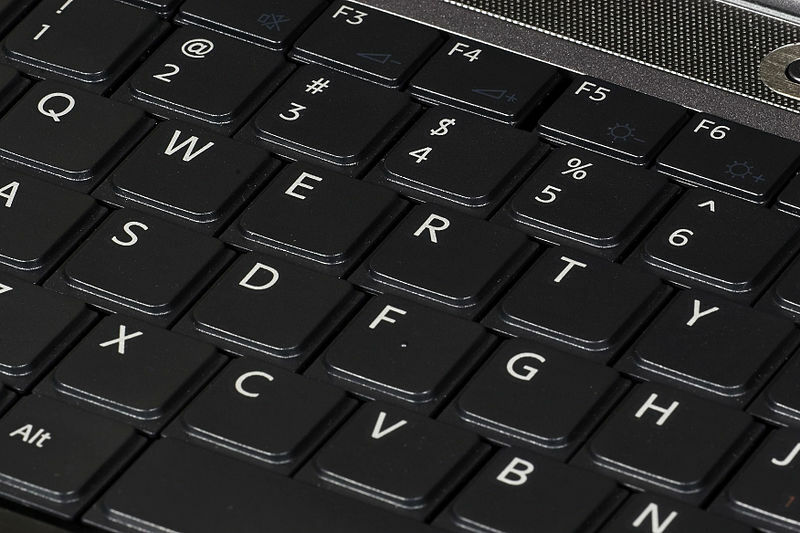 Speaking of typing QWERTY, why is it just those six letters? Why can’t it be QWERTYUIOP? Or just QWER? Or even ZXCVB? I kind of like ZXCVB. Has a certain ring to it, which I like to call “the unpronounceable ring”. But nooooo, whoever coined the term just had to think firmly inside the box and pick the most reasonable name. Well, dear reader. How many times, during your lifetime, will you find yourself in a situation where you have to type the English alphabet in order? Probably not very many. Maybe once or twice, if that. But consider this: how many times, during that same lifetime, will you find yourself in a situation where you have to type the QWERTY keyboard’s letters in order? I can bet you that it will be much, much less often than the first option. And from that, we can conclude that the QWERTY keyboard is counterproductive. I’ll be waiting for the brave soul that ventures out to create a new typing system to rid us from this menace to our alphabet-typing efficiency. And hopefully, no drugs will be involved this time around. 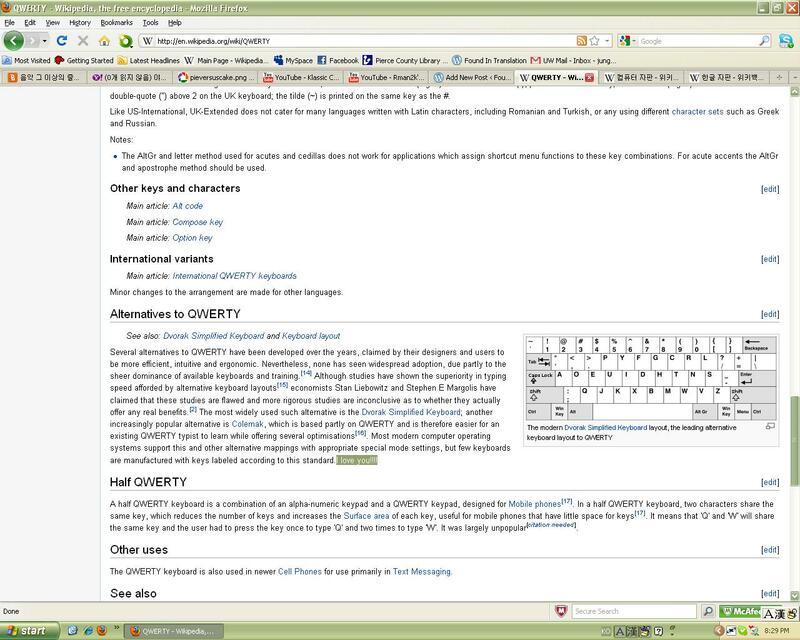 While reading up on QWERTY on Wikipedia, I noticed that the article had been vandalized by a very shy individual. How do I know the person was shy? Well, let’s look. I decided to leave it alone. The guy (girl?) gets points for trying. My dad owns a small business that imports heated stone beds and sells to customers in the region. And for the past few years, I’ve been helping to deliver the things to people’s homes all over the Pacific Northwest. Usually they don’t live further than Seattle (northward) and Olympia (southward), and the only real issues are when we have to deliver to, say, Oregon or Spokane (the latter of which I haven’t done personally). I suppose I’m glad that this story didn’t occur on one of those faraway deliveries. I think it happened in my junior year. Possibly near the end of sophomore year. At any rate, the year was 2008. There was a routine delivery to Federal Way (a bit more than a half-hour away from where I live, in case you don’t live around the Puget Sound) on a Saturday. The only thing was, our GMC Savana was being a little wonky in the week leading up to that–we were going to have the engine looked at, but this was a time-sensitive delivery and we figured we could just do it after coming back. The drive up went okay. When I say “drive up”, I literally mean “up”. As in, these people lived on a hilltop. In retrospect, I still have no idea how an engine in that condition was able to handle it. The car did stutter heavily near the end, but we got there, pulled into the driveway backwards (so we could unload the bed), and set to work. Anyways, a bit later we tried getting water from the customer and topping off the radiator. (Yeah, you’re supposed to use distilled water for that, but do people keep that around their house very often?) And, on the next try, the engine magically turned on. It was still incredibly unstable, though–the car was idling roughly. Again in retrospect, this was probably a good time to give up and call a towing company. But I guess we decided to give the return trip a go. My dad was driving carefully, and the car lasted the few minutes it took for us to roll down the hill. I thought we could make it. All the way down the hill, there was an intersection into a larger road (I don’t remember the name–if someone can figure it out from the description later on, let me know!) that we had to turn right into. The moment he stepped on the brakes at that intersection, the engine died again. And it wasn’t coming back. It was a busy road and a busy intersection. Immediately, the three or so cars behind us in the line started honking and driving around. Clearly this wasn’t a good spot for an engine to die. Fortunately, on the other side of the intersection was a very large (and more importantly, empty) parking lot, serving some kind of aquatics center that apparently was closed or something that day. 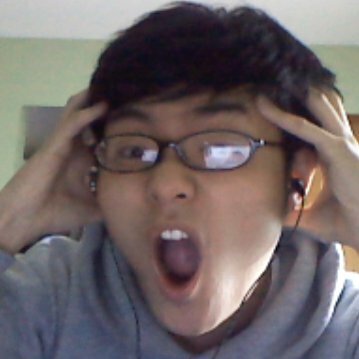 I just used three adverbs to start three sentences in a row. First order of business: get the van from its awkward spot at the intersection to the nice and big parking lot. The intersection itself was on flat ground, but the far side was on a slight slope. So once the car got rolling, it would pick up speed on its own. My dad would steer (since I had never grabbed a steering wheel in my life at that time–I didn’t get my license until senior year) and I would push just for that little distance until the slope. Let’s just say we overestimated my 15-year-old full body strength. This wasn’t going to go anywhere. But by another fortune (this kind of thing is why I believe God has a great sense of humor), there were three random guys walking by at that moment. We asked for help, and the car rolled easily enough with their assistance. Though, now that I think about it, we were pushing this thing at high speed through a busy uncontrolled intersection and didn’t get hit. I guess people are more careful about their driving than I thought. The vehicle was now in the parking lot and still in one piece. That was good, but on the other hand it started raining shortly after. Actually, I should say “pouring down a tumultuous torrent” or quite simply “someone took a lake and dumped it out on top of Federal Way”. We needed a tow truck as soon as possible, but where does one find the phone number for a local towing company in an empty parking lot of an “aquatics center that apparently was closed or something that day”? 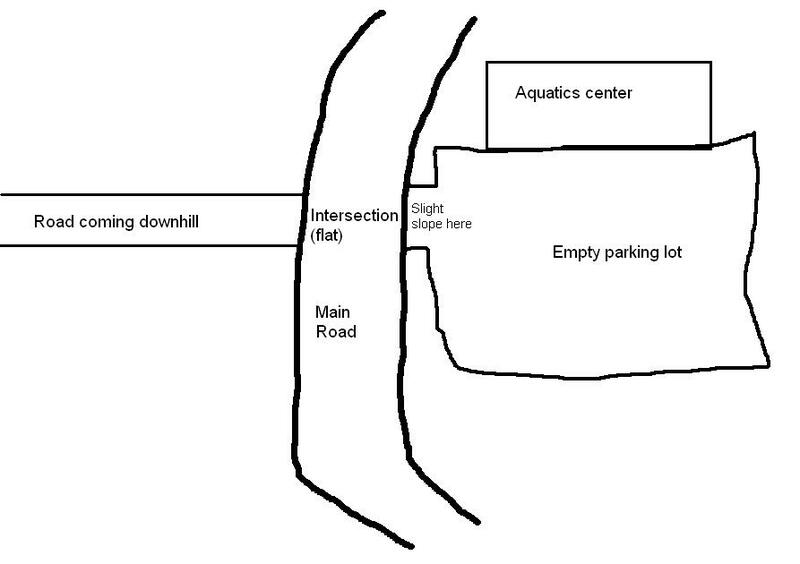 If your answer is that aquatics center, you are either truly thinking outside the box or just really desperate. We were a bit closer to the desperate side. By our third stroke of luck that day, the receptionist was working even though the place was closed. I didn’t know why, and I didn’t care. She was a rather kind old lady and told us that she had an old phone book. Success! There were three companies listed in the directory. The first one didn’t pick up their phone. Okay, that leaves two. The second one did pick up, but after I worked out the pricing and timing, suddenly told me that they could only have one other person in the cabin in addition to their driver. Obviously that was problematic. So we called the third place, and they told us that exact same thing. Regulations, they said. Imagine, for a moment, that you are a fifteen-year-old boy who did hard manual labor (including loading stuff up from the warehouse) on a Saturday morning and was looking forward to an afternoon of relaxation, when your car breaks down in a busy intersection and you have to explain to people behind that your car is, in fact, in such crap condition that it broke down in a busy intersection and then try to push it across said intersection but fail miserably and you do eventually make it across without getting killed but then it starts to rain like the world is ending and you somehow find three people who can save your day but the first one is just too good to answer their damn phone and the others are basically saying that you’re going to have to spend a couple MORE hours alone either in that rain or in a completely vacated (except for the receptionist, kindly as she was) swimming pool until your father returns to pick you up and all you have on you is your cell phone before you got texting and the towing company people are being awfully rude about it. I’m surprised I didn’t come out with some kind of trauma. I did end up being able to come home quicker than I thought. My dad called a friend who knew the number to a Lakewood-based towing company, and even though they were going to take a while to arrive, we weren’t picky at the time. And yes, this company did allow its drivers to have more than one person riding in the cabin with them. It was over in a couple hours. And to be fair, the other towers didn’t really have anything to do with the car breaking down and they were just following their rules. But that doesn’t mean that I didn’t absolutely hate Federal Way towing companies with all my heart that day. 1. The French team’s soap opera, complete with betrayals, broken promises, and angry tears. 2. Controversy over how distracting the fans’ vuvuzelas are to viewers and players. 3. Players complaining about this year’s official ball. 5. Suspense over whether or not North Korea will actually nuke Portugal’s capital for destroying their team 7-0. 6. Those really loud horn things that make it impossible to hear anything from the game. I think they might be called vuvuzelas. But hey, that’s not why we watch these things. My family normally isn’t huge on soccer, but like good, dutiful Koreans, my dad and I go into a frenzy over it every four years. The women in the house think we’re crazy. But no matter; when that World Cup season rolls around, we are willing to spend hours upon hours reading up on teams, following the news, and making predictions (but I’m usually more willing). This is all good and desirable. I do admit that sometimes we get a little too into it. The following is an approximate account of our dialogue at various points of the June 22nd match between South Korea and Nigeria. It’s obviously not exact (technically it’s not even close, if you consider how we weren’t speaking in English), but I hope it carries the gist. I forget what exactly happened when the game ended a draw and the Koreans were confirmed to advance to the next round, other than posting the result on Facebook. I think I must have been dehydrated or something. It probably didn’t help that I came back from my school’s senior party at 7am before waking back up at 11am to watch this. The point is, the World Cup, like the Olympics or the World Baseball Classic or any other big international sporting event, is some seriously thrilling stuff. I get animated. Neither me nor my dad are likely to chew anyone out as thoroughly as we crucify bad players, and the closest thing to a swear word that I ever say in real life is “damn”. Written that way, it sounds like they bring out all the bad qualities, but that’s just part of it. Few things make me happier than a victory in one of these games, and few things make me giddier in anticipation than a high-stakes matchup. If a sporting event gets me this excited, how come I never follow regular seasons of anything? I watch the World Series, the Super Bowl, NBA championships, international sporting events, Starleague playoffs (don’t judge me. ), and March Madness, but I hardly ever catch a game during seasons. But I’m starting to see the reason: it’s all in the exhilaration. Perhaps more than the sport itself, I enjoy the drama, the suspense, the excitement of those events. Where that is lacking, I just can’t muster up the effort to see it. When this World Cup is over, and soccer fans revert to watching the English Premier League or La Liga or whatever, I won’t be there with them. The moment would be over for me. But in the meantime, I’ll continue to wake up at 4:30am to catch games, yell my lungs out rooting for teams, and almost die from heart attacks. And listen to those damn vuvuzelas instead of the game. Sigh.